Quad QAM modulator with IP input. The DTE-3120 offers ASI to IP conversion, which can be the input for the QAM modulator in the DTE-3114. Single channel cable/terrestrial modulator for PCIe. The DTA-2111 is the best choice when standalone operation or multiple channels are not required. The DTA-2111 and DTE-3114 share the same set of modulation standards, the same frequency range and an all-digital modulation and upconversion architecture. 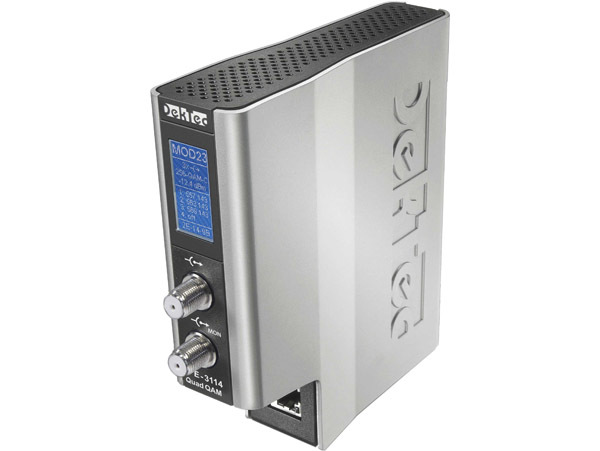 The DTU-315 is a portable modulator for satellite, terrestrial and cable, all in a single device. A good fit for laptop or tablet, but convenient with desktops and server PCs too. The DTU-315 requires a USB-3 port.